Extended abstracts should be submitted in PDF format (A4 page size) and cannot exceed 2 pages, including references and figures. Additionally please send source files (DOC or ZIP archive with TEX+PNG/JPG). We urge authors, especially the users of Microsoft Word, to consult the PDF example to see what the final output should look like. Submission of abstarcts is provided via your Symposium registration account. All abstracts will be reviewed. The authors of accepted abstracts will be asked to submit a full-length manuscript, which will be published in Procedia IUTAM by ELSEVIER. Symposium proceedings based on the extended abstracts will be published online. A selection of contributed invited papers will appear in a special volume by World Scientific Publishing Company. 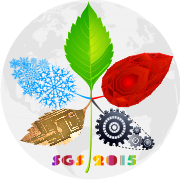 Submission of Proceedings (please send all files PDF+DOC or PDF+ZIP) is provided via Symposium e-mails: sgs2015@ipmnet.ru or iutamsgs@gmail.com.